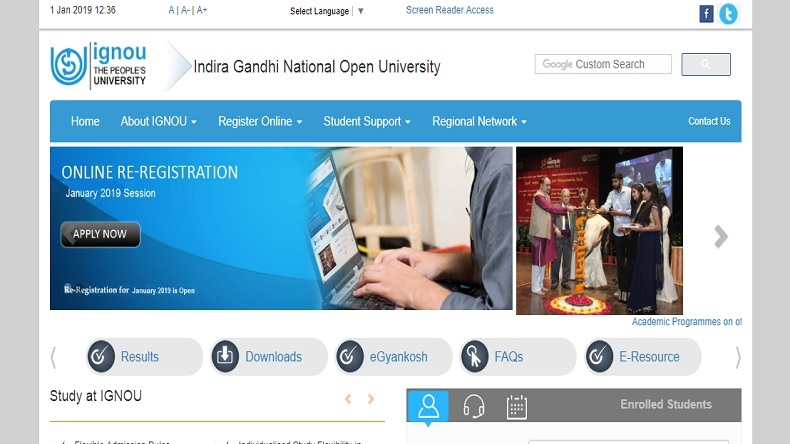 The result of December-term examination will be declared by the Indira Gandhi National Open University (IGNOU) by February 15 on the official website ignou.ac.in. The applicants can download the result through the official website. There are various steps mentioned for the candidates to know the download steps. The Indira Gandhi National Open University (IGNOU) will declare the results of December term-end examinations (TEE) by February 15, 2019 on the official website ignou.ac.in, as per the latest official notification. The examinations were conducted from December 1 to 31, 2018. Earlier, it declared the result of the candidates who had applied for earlier results. Step 5: Download it, take a print out for future use. The candidates are requested to download the results by entering their name/date of birth and report to the examination centre. In case, the candidates are unable to download the result, they can contact the regional centre. In case of more details, the candidates can check the official website of IGNOU, ignou.ac.in.